In the first six months since the Competition Ordinance (Cap. 619) came into full effect, businesses and trade associations have been active in reviewing their contracts and conduct to ensure compliance with the new law. The Competition Commission and Communications Authority, meanwhile, have received numerous complaints and queries in relation to potential breaches of the law. In this article, we highlight some of the key developments since Hong Kong’s cross-sector competition law took effect in December 2015. The Hong Kong Liner Shipping Association has applied to the Commission for a block exemption order in relation to certain liner shipping agreements. The Commission carried out a public consultation in relation to the application between January and March 2016, and the Commission’s decision is pending. If the block exemption is granted, vessel-operating carriers will be allowed to enter into liner agreements to co-operate in the provision of liner shipping services. The co-operation could cover: technical, operational or commercial agreements; price; and remuneration terms. In March 2016, the Communications Authority announced that it would not investigate the acquisition by HKBN Limited of two companies owned by New World Telephone Holdings Limited. The Authority considered that the Acquisition was unlikely to have the effect of substantially lessening competition in the relevant telecommunications service markets in Hong Kong. The merger control provisions of the Competition Ordinance apply to companies that hold, directly or indirectly, a carrier licence under the Telecommunications Ordinance (Cap. 106). 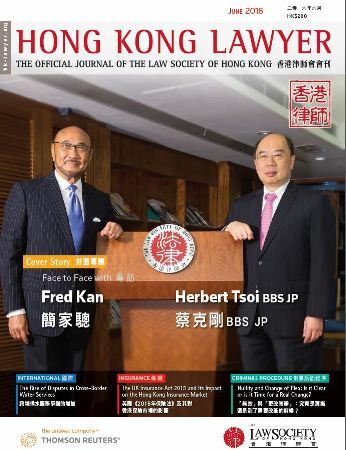 Mergers involving such companies are prohibited if the merger has, or is likely to have, the effect of substantially lessening competition in Hong Kong. • codes of conduct that may restrict competition between members, such as restrictions on members undercutting fee quotations of other members. The Commission has written to the trade associations to ensure they are aware of the Commission’s concerns. The Urban Renewal Authority has launched a pilot scheme to assist Owners’ Corporations avoid exposure to bid-rigging in building maintenance tenders. Independent advisors will offer advice to Owners’ Corporations on the general scope of works that need to be carried out and the estimated costs of the works. An electronic tendering platform will be introduced, and the Authority will provide sample contracts and procurement tips. The scheme is limited to private residential buildings aged more than 30 years or which have an average Rateable Value per unit of less than HK$300,000 (urban) / HK$160,000 (New Territories).